Do you need reliable Medical IT Support for your busy Medical Practice? Do you need an IT Support company that provides a quick response to your IT support issues? We have been providing IT Support to busy medical practices for over 10 years now. We work with many different medical software vendors including Medical Director, Best Practice, Blue Chip, Genie Medical, Practix, Stathealth, and many others. We also provide support to Pharmacies. Our staff are friendly, helpful, and always ready to take your call. We are involved with many new Medical Practice installations on a regular basis. We will advise you along the way and provide a helping hand. 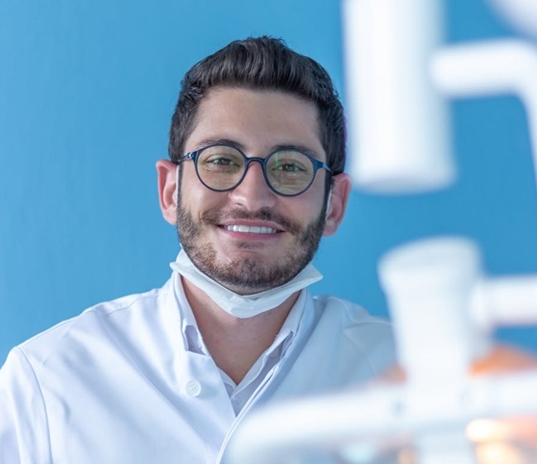 We can supply all the equipment necessary in setting up a new Practice. Below is a list of equipment and software most new Medical Practices require. Laptop for the Treatment Room. A laptop is preferable whilst performing an ECG. In the event that there is power loss, the ECG will continue to function. You need a company that is experienced in supporting the healthcare industry. This is important as we understand the liability associated with Medical Data and we strive to keep your medical data safe and secure. You need an IT company that is always available. We operate from 8:30 am – 5:00 pm Mondays to Fridays. We have an after hours IT support number that is always manned. You need a company that understands the needs of a busy medical practice. We know when to perform updates, which is after hours of course. We also know that Doctors are a Medical Practices most important asset, so we word hard at making sure their computers are always operating efficiently. We also know that the reception desks are the other most important pc’s on the network. Having a build up of unhappy patients at the reception desk is not good, so we strive to keep those pc’s running as fast as possible. When you are on one of our Maintenance Agreements, we log in to your Server on a daily basis and ensure that backups are running smoothly. We suggest that all of our Medical clients are on one of our maintenance agreements. When we talk about medical data security we talk about keeping unwanted visitors to your network locked out. A common theme today is for medical centres to get hacked and to have all their data encrypted. We make sure that they are no security loopholes on your network that will allow this. Below is a list of the medical software that we support on a day-to-day basis. We also support other medical software that is not listed here. If you have any needs regarding your medical software and it is not listed here, still do you give us a call, most medical software does work the same. We still know what to look out for, and we will work closely with your medical software vendor if needed. We will help you achieve accreditation for your medical practice. 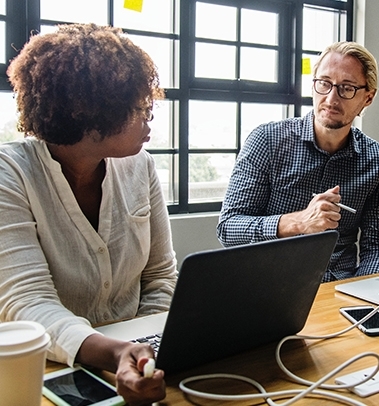 We know all the accreditation rules and we have an accreditation document that we can share with you, that we will help you fill out to achieve accreditation. We have a responsive help desk always ready to take your call. Our IT support staff have a lot of knowledge in the medical industry and have a lot of knowledge surrounding the various medical programs that your medical centre might use. We can help you get your software issues resolved quickly. We provide medical updates after hours to both the servers and the workstations. We ensure that there is a reliable backup prior to running a medical update. This is important because sometimes the medical updates can corrupt the database. Therefore, we always ensure that we have a good backup that is recent prior to running the medical updates. We also run these updates afterhours so that there is no downtime to the practice. 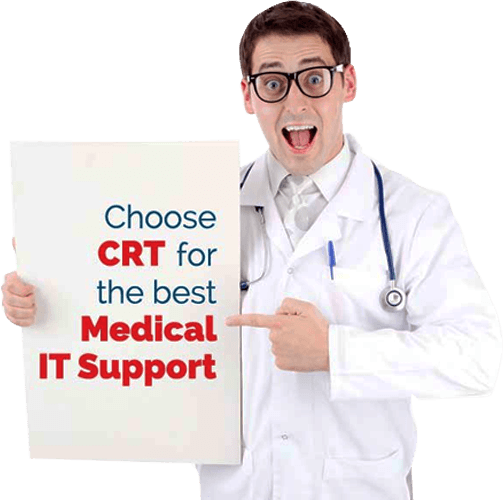 CRT will help you develop an IT policy that adheres to medical standards for your staff. CRT maintains a high level of availability to trained staff that are always ready to take your call. We provide Medical IT Support to multiple Medical Practices throughout Australia. CRT Network Solutions ensure an efficient network, affording you peace of mind when running a busy practice. When we look after your practice, you know that your IT requirements are being expertly managed.